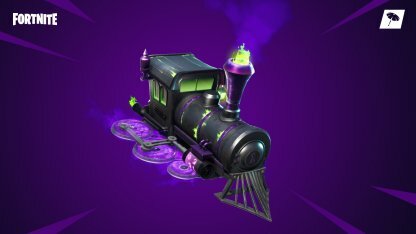 Learn more about the v6.20 update notes of Fortnite Battle Royale, including what's new in the v6.20 update - new limited time event Fortnitemares, new Six Shooter weapon, glider re-deploy mechanic test run, and more. 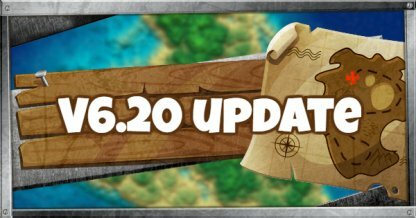 Check Out Latest Update & News! 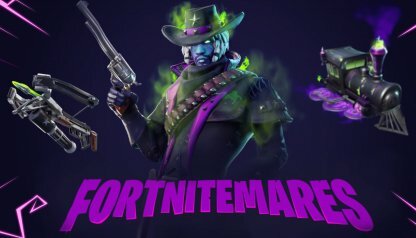 Fortnitemares Limited Time Event Battle Cube Monsters and other players in this new limited time event! New Weapon - Six Shooter The Six Shooter fires fast when fired from the hip & is more accurate when using ADS! Deadfire Outfit The Deadfire Outfit is a reactive skin that progresses in 2 styles - showing off your skills in combat & survival! 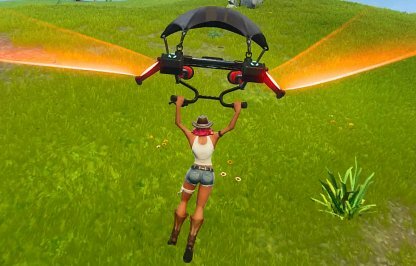 Glider Re-Deploy Mechanic Test You can now re-open your glider in the solo, duo, & squad matches! The v6.20 update is here and we've got new Halloween content from Fortnitemares, the glider re-deploy mechanic test on all modes, & more! It's time to hunt monsters (and enemy players) to save the day! In Fortnitemares, the Cube is summoning Cube Monsters that you have to eliminate while also battling others! 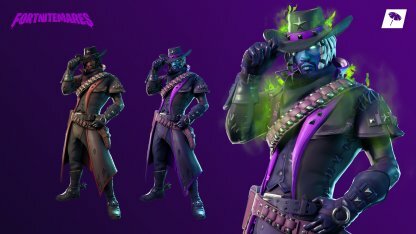 Check Out More Info About Fortnitemares! 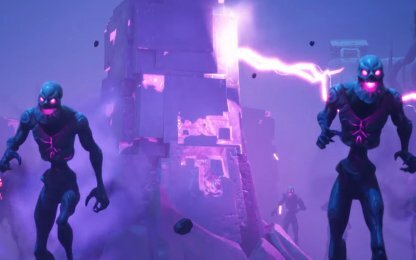 Cube Fragments around the Battle Royale island will spawn Cube Fiends and Brutes. Eliminating these monsters will give a bit of shield and have a chance to drop loot. 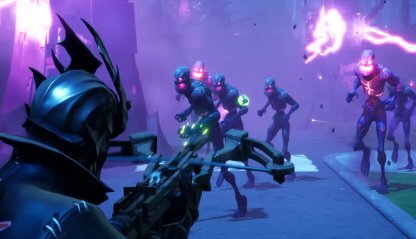 The Fiend Hunter Crossbow is a Fortnitemares Limited time weapon. It is lootable from the floor, chests, and Vending Machines. It comes in Epic variant, with unlimited ammo & a 7 arrow magazine size. Fornitemares will have its own set of free challenges involving the limited time event that players can participate in to win cosmetic rewards & XP. Complete all sets of challenges of Fornitemares and you'll receive the dark & intimidating Dark Engine Glider! Check Out All Glider List! The new Deadfire outfit is a reactive skin that shows off your skills! It progresses through 2 styles depending on damage done & length of survival. It will come with the Shackled Stone Back Bling & Dark Shard pickaxe. Check Out The Deadfire Skin Here! 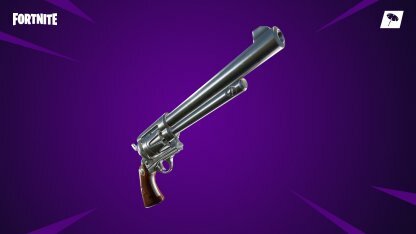 The Six Shooter is a new revolver introduced in the v6.20 update. It comes in Uncommon, Rare, and Epic. It fires faster with the hip fire method but is more accurate when using ADS. Starting from the v6.20 update, the glider re-deploy mechanic test run will be done in solo, duo, & squad matches. Players will be able to re-open their gliders when jumping from at least 3 stories high. 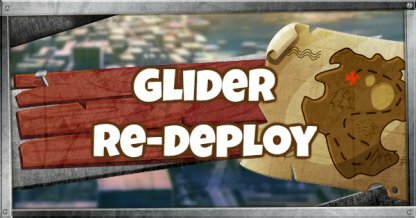 Check Out The Details Of Glider Re-deploy! Check Out The Playground Mode Overview! Port-A grenade items can now be purchased at the vending machine located at the southern edge of Loot Lake. Mini-Games requiring the use of Port-A Grenades have been added to Playgrounds. Players will now have designated spawn points inside the stadium and vending machines will sell traps and grenades for you to use. 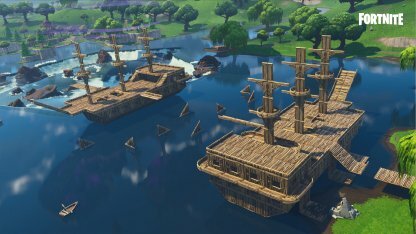 This unique mini game will spawn 2 pirate ships with each team's goal being to destroy the other team's pirate ship first. Hand Cannon damage has been increased specifically for structures & long-range shots. Compare Hand Canon With Other Hand Guns! The Rocket Launcher has been reskinned into the Pumpkin Rocket Launcher. Its statistics & damage output remain the same. Check Out The Teasers of Pumpkin Launhcer! Wait time for phase 3 is now 90 seconds from 120 seconds. Wait time for phase 5 is now 50 seconds to 70 seconds. Storm's max damage is lessened from 10 to 8. Players will now suffer 2 damage per second when Knocked Down But Not Out compared to the previous 2 damage per 2 seconds. Knocked down time is also reduced from 100 seconds to 50 seconds.